Bullying is any behaviour that makes someone feel upset, uncomfortable and unsafe. This is usually deliberate and repetitive and can take many forms such as Verbal, Indirect and Physical. Verbal bullying can involve attacking or upsetting somebody in the form of speech or verbal actions, this also includes signing. Examples include: hurtful words, offensive language, discriminatory language, swearing. Indirect bullying can take on a less obvious form that you wouldn’t directly see/hear. Examples include: isolating someone, rumours, sharing secrets, cyber bullying, damaging or stealing someone’s property, physical intimidation. Physical bullying is usually clear in its main form of unwanted body contact from the person bullying to the bullied. Examples include: hurting someone intentionally, kicking, punching, slapping, spitting. If you are experiencing bullying, it can make you feel low, helpless and alone. But you’re not alone and there are people around you that care about you and want to help. It’s really important that you talk to someone that you trust. Don’t suffer in silence - Every school has a duty of care to look after their students. If you are being bullied at school it’s important that you talk to a teacher. This can be your form tutor, pastoral care, head of year or any teacher that you trust. You could also speak to a parent or guardian, or get support from a support service such as UK or Irish Childline. Save the evidence - Keep a record of what’s been going on – remember the 4 W’s: What, Where, When and Who. This will help the person helping you to understand the situation and help you to resolve it. Plan next steps - Your school should put an action plan in place to stop the bullying and keep you safe and free from harm. If your school does not take what you’re telling them seriously, your parents/carers could arrange a meeting with your school to talk through how the situation will be resolved. Speak to your teacher - Even if you are being bullied outside of school and the person is in your school, your school still has a duty of care to intervene in the situation. Speak to their teacher - If the person that is bullying you is not in your school and you know the school that they belong to, you can still speak to your teacher/parent and they can contact the school that the young person attends and they should take action. Speak to the police - If the person is unknown to you, you can contact the police and describe the person/incident to them and seek their advice. If you are being bullied online, check out our support blog here for in-depth advice. To see more videos, please visit our full YouTube playlist here. Young people feel they often have to deal with bullying alone, and your child may worry that telling you will make you angry or upset. It’s important that you have the tools you need to keep your child safe, happy and free from bullying. Your child will be concerned about your reaction, so try to stay calm and make sure you thank them for telling you. It is really important that you listen to what your child is telling you and observe their behaviour. Your child wants to know that you believe what they are saying and will support them through this tough time. 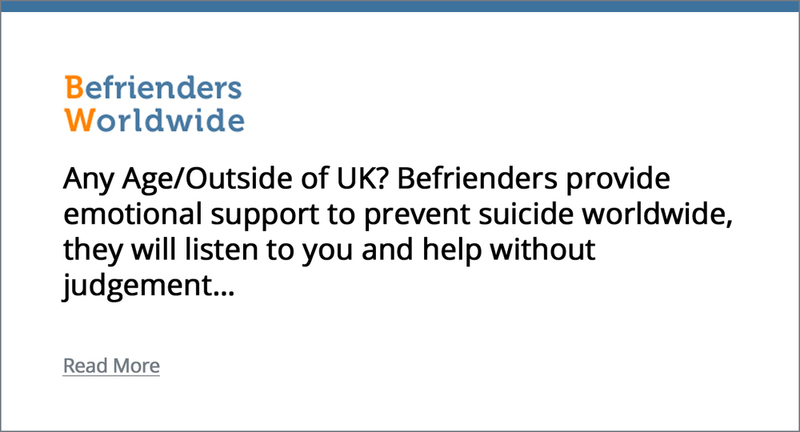 If they are confiding in you it means that they are asking for help and support. It is important to talk to your child about how you can take action together to stop the bullying: ask them what they would like you to do. A good first step is to contact their school and arrange a meeting with your child’s form tutor, Pastoral Care or Head of year. Schools have a duty of care to look after your child and make sure that they are safe. If the bullying has taken place online, check out our cyberbullying support blog here. WHAT CAN I DO IF MY STUDENTS ARE BEING BULLIED? Schools are legally required to have an Anti-Bullying policy which outlines what action staff members are expected to take. It is important to follow this guidance and if you need any support to consult your Safeguarding lead. If a student comes to you and explains that they are being bullied we advise the following. Thank them - Affirm them for coming to talk to you and being brave to speak out about the bullying. Explain - Ask them to explain what’s happened and ask if they know the time, date and location that the bullying took place and if they know the identity of the person/people doing the bullying. Consult them - Bullying can make young people feel ashamed and out of control of the situation. Ask the child what the next steps are that they want to take. It is important that they have a say in this process as they may not want you to talk straight away to the bully. Bullying can affect a young person’s ability to study and form/maintain friendships. Make sure that you are up to date with your school’s Anti-Bullying Policy and if needed update it to keep it relevant and understandable. Make sure that all the staff in your school are aware of your policy and the procedure to follow when bullying occurs. Each month, thousands of people benefit from Ditch the Label's pioneering digital support programs. They have a team of digital support mentors who empower people to overcome bullying through their website and partnership with other online communities. Ditch the Label provide one-to-one and group help and produce widely used self-help guides and materials. They don’t just talk about bullying, they help people through things such as mental health, coming out and low self-esteem. They see bullying as a behavioural issue. Like all behaviours, there is a root cause and a remedy for change. They understand the root causes and provide the remedies for change. Not only do they help those who have been bullied, but those who are doing the bullying too, because there is no such thing as a ‘bully’ or ‘victim’ - It’s a behaviour and not an identity. Older PostWhat can I do if I am being Cyberbullied?